Resources dwindle to fight large wildfires across the U.S. 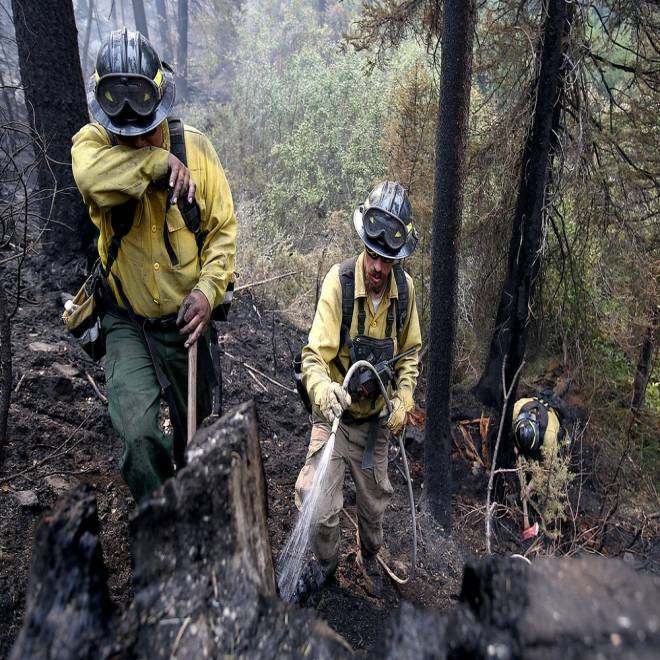 Firefighters with the private contract company Great Basin Fire mop up part of the 104,457-acre Beaver Creek Fire on Monday in the Baker Creek area north of Ketchum, Idaho. Nine new large fires have ignited across the U.S. West, stretching the nation's firefighting resources to the limit, the National Interagency Coordination Center said Wednesday. The NICC, which coordinates local, regional and national firefighting agencies, said the network's wildfire preparedness level is at Level 5, the highest on a 1-to-5 scale, which is assigned when the breadth of major incidents has the potential to exhaust all national fire resources. A Level 5 classification indicates that 80 percent of Type 1 and Type 2 incident management teams are in use. This is the fifth time the NICC has reached Level 5 in the past 10 years but the first since 2008 — a year that saw nearly twice the number of fires to date as 2013. Federal agencies have spent more than $1 billion attending to the 33,000 fires that have burned this year. The national average per year over the last 10 years is $1.4 billion. On Wednesday, the NICC reported nine new large fires, all burning in the Western U.S., boosting the nationwide count to 51 uncontained wildfires. 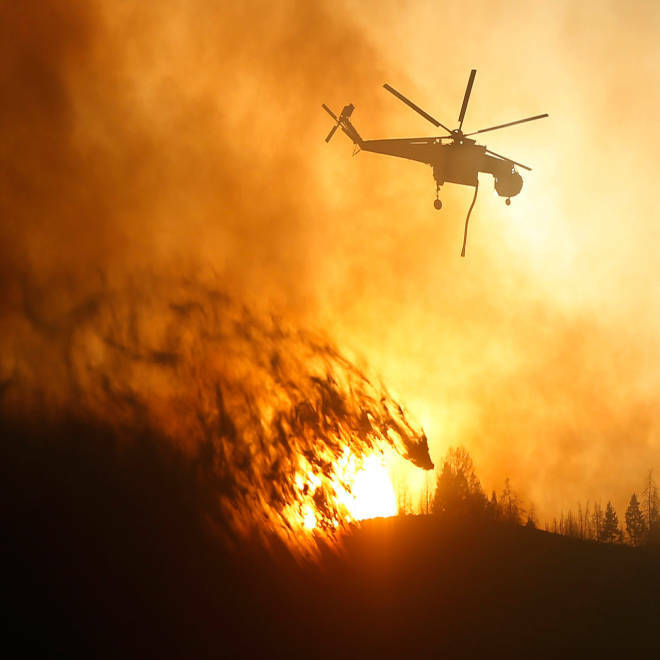 Three of the new fires are burning in Montana, including the fast-moving Lolo Creek complex fire, which has charred 8,600 acres since it was sparked Monday and remains entirely uncontained. As resources continue to stretch, Montana Gov. Steve Bullock declared a state of emergency and called in resources from the National Guard. Hot and dry conditions in the West have made the region particularly susceptible to wildfires and hindered firefighters' ability to contain the blazes. The Beaver Creek wildfire in south-central Idaho has burned more than 120,000 acres and caused massive evacuations in the two weeks since it was sparked by lightning. It remained only 30 percent contained Wednesday, with "extreme" growth potential.